Over here at weddingonline HQ, we’re all about checklists. These are the best way to keep track of everything you need to plan. Guest lists, menus, decor, music – there’s a checklist for everything. 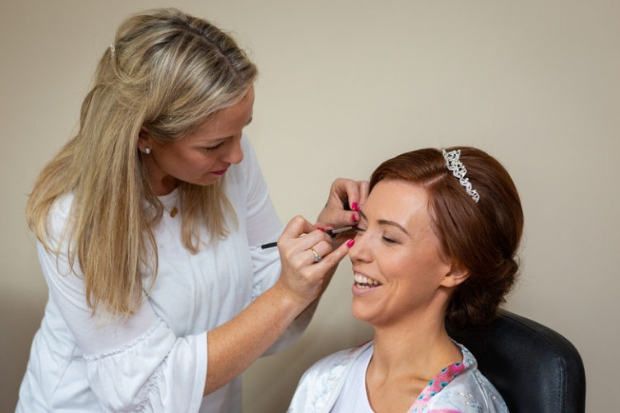 We’ve put together a helpful bridal beauty checklist to help you looking and feeling your absolute best on your wedding day! In today’s bridal beauty checklist, we’re going through everything category by category. If you’d like to see a chronological checklist, take a peek at the bridal beauty countdown we have posted. Chat to your dermatologist about your skincare routine. Depending on what is recommended to you, schedule an appointment for a facial, peel or other targeted treatment. If you currently aren’t in a skincare routine, chat to your makeup artist or dermatologist about a cleansing, toning and moisturising routine. Purchase skincare products that make your skin glow, and don’t forget to drink lots of water. A week before the wedding, give yourself an at-home facial or book yourself in for a facial at the salon. Invest in under-eye patches to prevent puffy eyes before the wedding, and get plenty of sleep. Take a look at our supplier directory when creating the perfect skincare routine. Find a hair stylist and book a trial. This is an excellent way to see what hairstyle you’d like on the wedding day! Two weeks before the wedding, have a haircut or trim and touch up your colour. Experts recommend not trying any new colours too close to the wedding day. Remember that you want to look like yourself on your Big Day. One or two days before the wedding, do an at-home conditioning treatment for extra shine. Use our supplier directory to find the best hair stylists in Ireland! Chat to your makeup artist and select a lipstick colour. Schedule an appointment with your dentist for routine teeth cleaning. If possible, ask for your teeth to be professionally whitened or use over-the-counter whitening strips. Use an at-home lip scrub to remove dry skin. A weekly routine of petroleum jelly and an old toothbrush will do the trick! Book a makeup artist and schedule a makeup trial. Schedule an appointment for an eyebrow wax one week before the wedding so you are fresh. If you don’t regularly get waxed, start doing so a few months before the wedding and try to avoid experimenting too close to the wedding. Our supplier directory is full of excellent makeup artists who can give you advice on this. 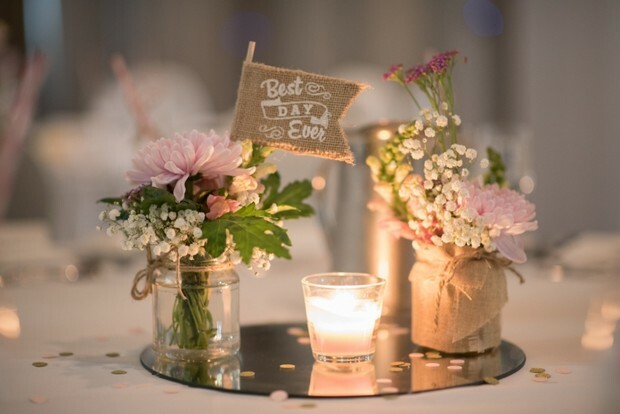 Pick a colour that fits with your wedding colour scheme or something neutral that matches with everything. Book an appointment to get your mani or pedi a few days before the wedding. If you’re worried about chipped nails, ask for gel nails. Book appointments for all the waxes you’ll need before the wedding. If you don’t typically get waxed, start creating a waxing routine months prior to your wedding day. Try to get waxed a few days before the wedding and allow enough time to pass so that you aren’t red on your wedding day. If you can, schedule an appointment for a back, neck and shoulder massage so you are relaxed on the Big Day! Avoid sitting in the sun too much too close to your wedding day if you don’t want to end up with awful tan lines. And for a pretty glow, get a spray tan. If you haven’t had a look at our supplier directory, check it out. You’ll find everything you need for a great bridal beauty routine.